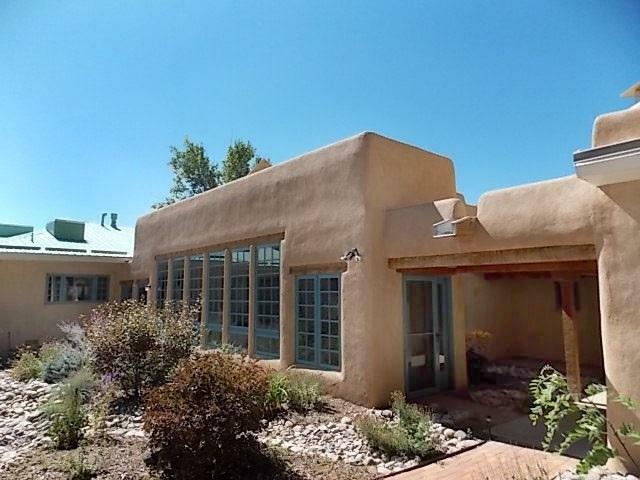 The possibilities for this 8BR/8.5BA/5717sf adobe/frame property on 0.5 acres are nearly endless. 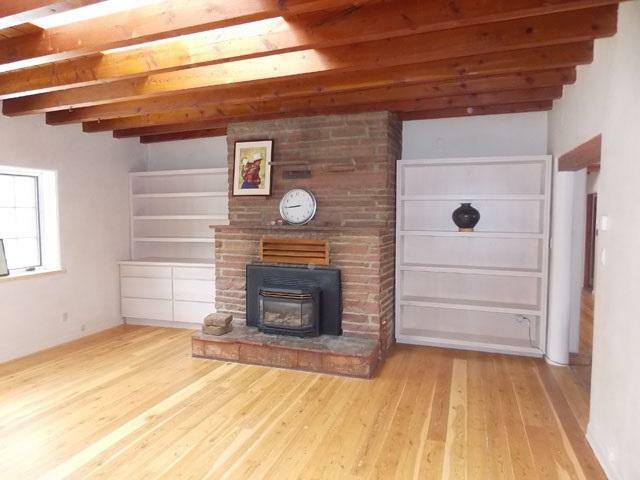 The main house is spacious & elegant, with sweet details, including pine and cork floors, fireplaces, & an amazing addition with 2 en suite bedrooms. The addition connects to 3 more guestrooms, all en suite, via a wide, window-filled hallway that looks out on mature landscaping in a private back garden. Still not enough space? Not to worry! There's also a studio, and in addition to the great room, there's a den. Once home to renowned author Frank Waters and formerly a B&B, this property is now owned by the Dominican Sisters of St. Catherine of Siena, who have performed miracles with a heavenly remodel. Walk to dining, shopping, galleries, museums, Kit Carson Park (walk your dog, jog around the park, or enjoy one of several crafts fairs and concerts held at the park every year), and the Taos Center for the Arts, where the auditorium frequently hosts events of all kinds: concerts, indie films, lectures, and theatrical and dance performances. 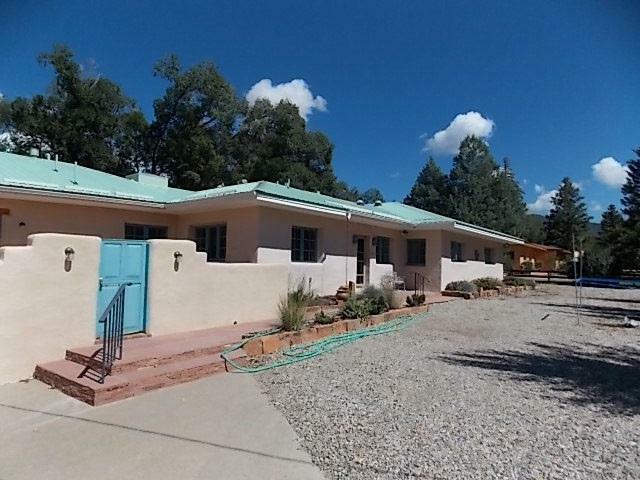 This home is only three short blocks to Taos Plaza, truly the heart of our dynamic, culturally rich town, home to a seasonal farmers' market, weekly summer concerts (we're a very musical town! ), Taos Fiestas, and galleries galore. Pick up your morning coffee or visit one of the restaurants on or near the Plaza for breakfast, lunch, or dinner. The many bedrooms and the location of this property make it an ideal place for you to entertain guests. 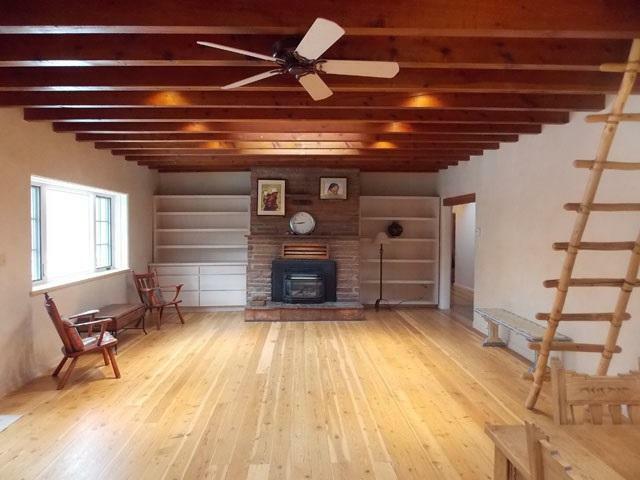 (Imagine hosting an artists' or writers' retreat here!) Brooks Street is a quiet residential side street, but you can be on the Plaza in a heartbeat.